Another year has passed and that means it’s time to take a look back. Over the year, we published four print editions of Orlando Attractions Magazine, launched a free iPad app, switched our free e-mail newsletter from monthly to weekly and launched our new weekly video show. This week’s Show will present a review of all of the big news in 2010, but today we’re going to look at the blog portion of our website where we post the latest theme park and attractions news. During 2010 we posted about 400 stories online. To go with those stories, we uploaded almost 300 videos to our YouTube Channel. Below is the list of the top 10 most read stories from our blog. Keep in mind that a story posted in January has had a lot more time to be viewed than ones we posted this week. But clearly dominating the news this year was the opening of The Wizarding World of Harry Potter. Let’s count down from number 10. This one was a bit of a surprise. 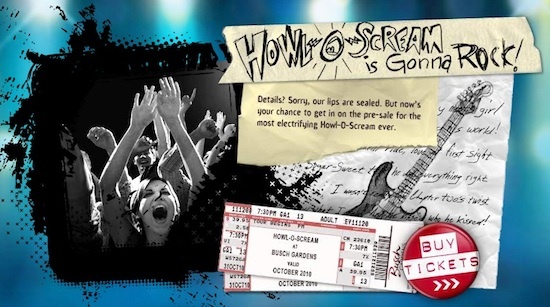 It’s usually Universal’s Halloween Horror Nights that is more popular, but on our site, more people visited to find out this year’s Halloween theme at Busch Gardens. Would you stay in a Haunted Mansion themed hotel room? This story came from a reader who took an online survey by Disney asking him what he thought about some possible new resort room designs. 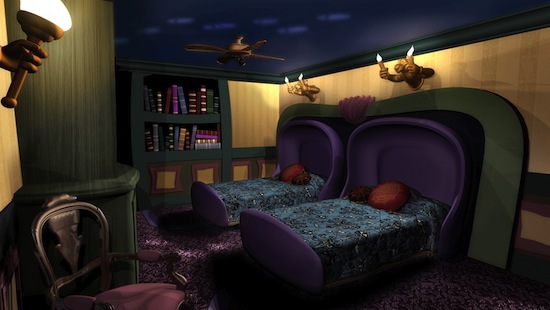 The two new designs were for a Royal Room and a Haunted Mansion themed room. No further information has been released about the room concepts since the story was posted. Legoland Florida is set to open next fall, but back in July they held an open house to present more of what is planned for the new theme park. I can never tell exactly which stories are going to be the most popular ones. I would have never guessed this one from 2009 would be one. 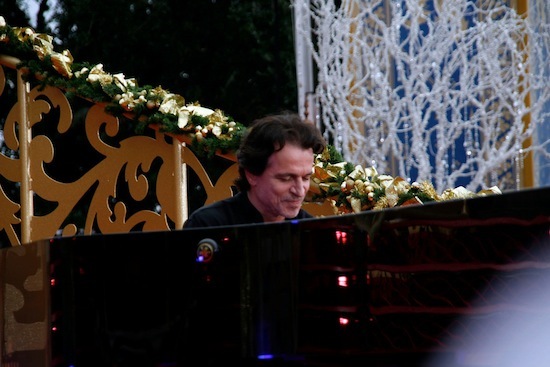 If you look at the comments below this story, you’ll see the Yanni fans made it so popular. 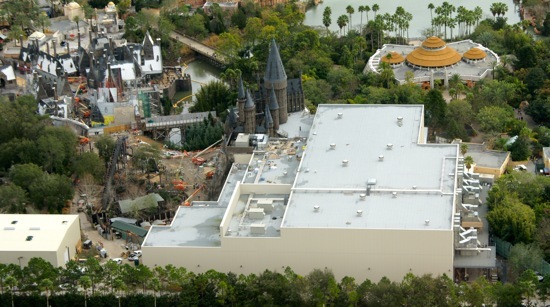 Our helicopter tour above the then still under construction Wizarding World shows just how excited everyone was for a peek into Harry Potter’s new land at Universal. This was a follow-up to a story you’ll see further down the list. 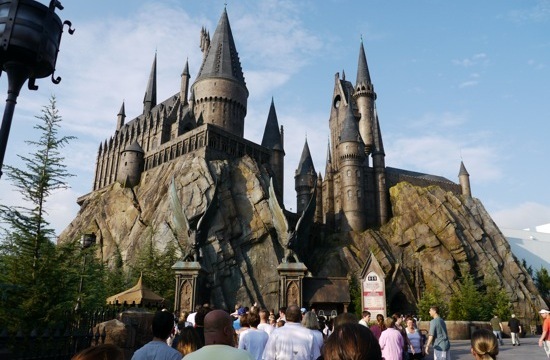 This story was posted when Universal finally adjusted some of the seats on the Harry Potter and the Forbidden Journey ride to fit larger riders. 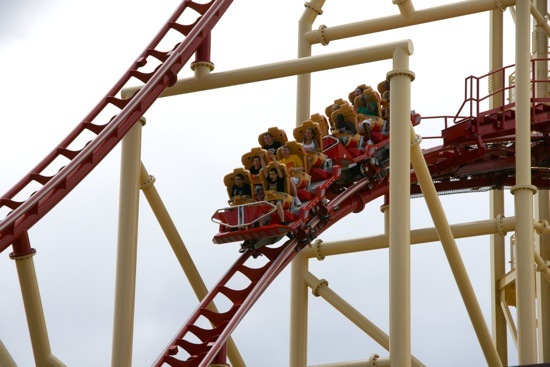 This story was originally posted in 2009, and is still popular because it lists all of the known hidden songs you can choose among on the Hollywood Rip Ride Rockit roller coaster at Universal Studios. You may want to bookmark it as well to check before your next ride. This was one of our first construction updates for the Wizarding World which showed some of the many details that were starting to be added to the land. 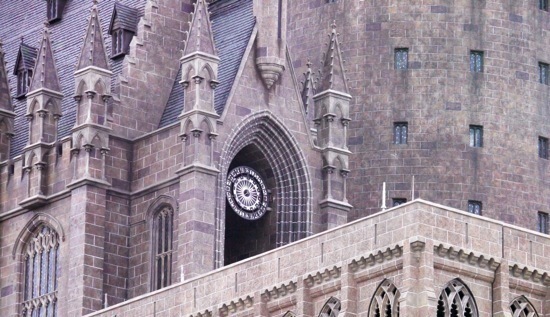 We were one of the first to enter The Wizarding World of Harry Potter during its soft openings last May. This story gave many until then unknown details of the new ride and featured photos and videos from all around the newly opened land. 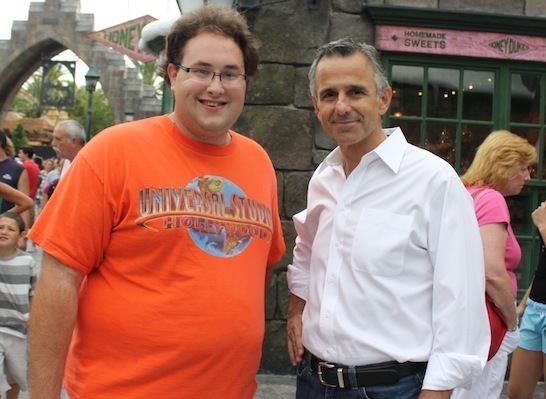 Are you too big to ride Harry Potter and the Forbidden Journey? This was a question many wanted to know the answer to before they paid to visit The Wizarding World of Harry Potter. 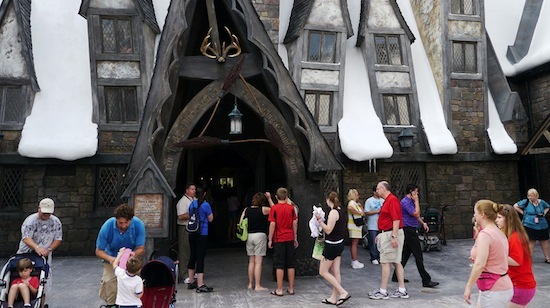 Many guests had complained that although they could ride every other ride in the park, they were told they were too large to ride the new Harry Potter and the Forbidden Journey ride. This story told about reader Banks Lee, who, instead of complaining, made it his goal to lose enough weight to ride. 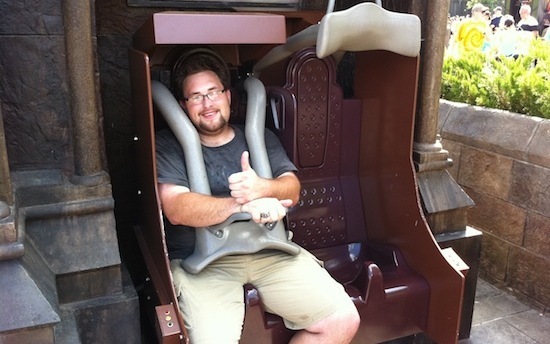 He reached his goal just before Universal modified some of the seats to allow larger guests. I think this story also has the record for the most number of comments with 126 responses. Stay tuned for another year of top stories. Just by reading and sharing your favorites with friends, you help decide which make the list in 2011.